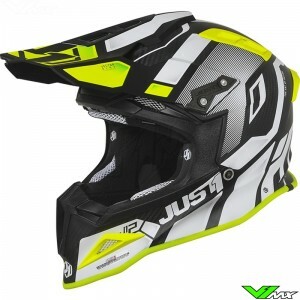 V1mx has the full collection of Just1 motocross helmets available. Check out the current range below. 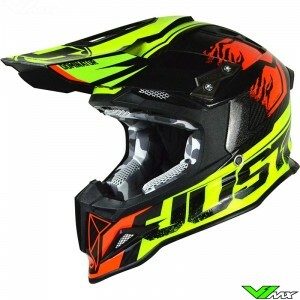 Just1 has motocross helmets available for both beginner and advanced motocross riders. 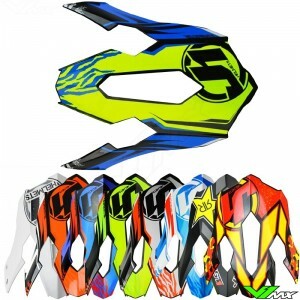 There is also a wide choice of colors and designs. 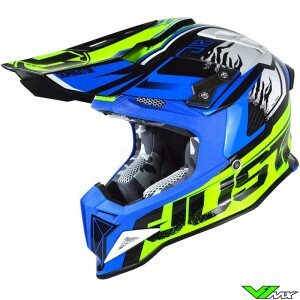 In addition to the motocross helmets for adults, there are also kids motocross helmets available. 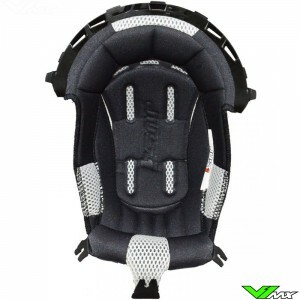 V1mx also has accessories available, from a new peak to the inner lining. 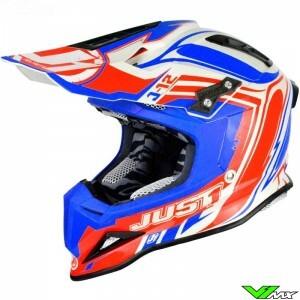 The different Just1 motocross helmet models are covered below. The most advanced model of Just1 is the J12. 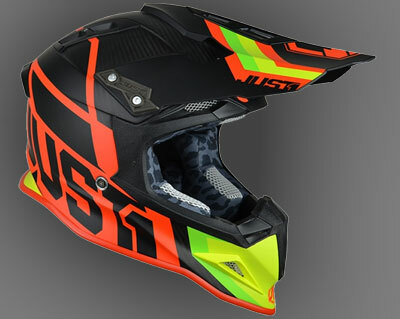 The goal of Just1 was to produce the most protective and comfortable motocross helmet. A perfect fit is essential to provide good performance. 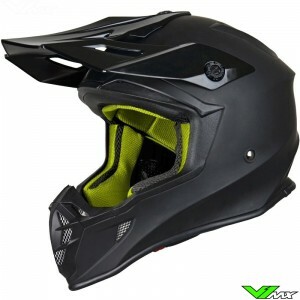 This carbon motocross helmet is equipped with an extensive ventilation system for maximum cooling of the rider. 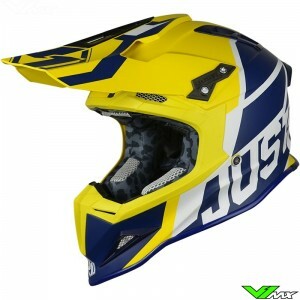 More information about this Just1 motocross helmet can be found on the J12 page. 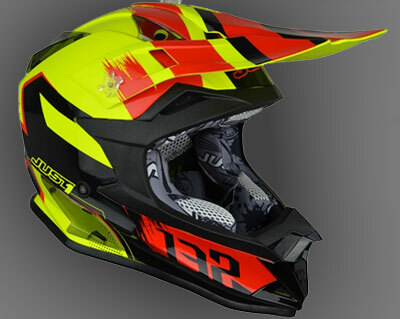 The J32 is the affordable motocross helmet from Just1. Because of the large technical team, Just1 was able to add many functions to this helmet. An example is the emergency cheek pad replacement system. In addition, it is made of an optimized thermoplastic scale, resulting in a total weight of only 1260 grams. The bottom edge is made of a soft padding. This works together with a neck brace to protect you in the event of a severe crash. Finally, it is equipped with a good ventilation system and removable inner lining. 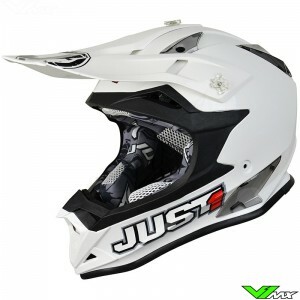 Just1 also has a motocross helmet with visor available, which is called the Just1 J34 Adventure. This Just1 helmet is perfect for riders who ride in multiple conditions. 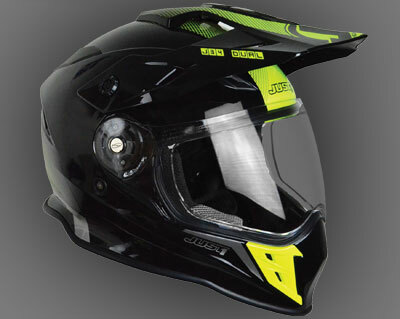 You can remove the visor and peak, which allows you to adapt the helmet for street, off-road track and enduro use. At high speeds it is nice to remove the peak, for better aero dynamical properties. 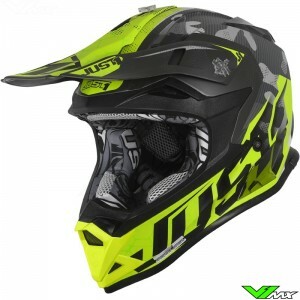 For motocross use you can remove the visor and replace it for a motocross goggle, which offers better sealing and protection. 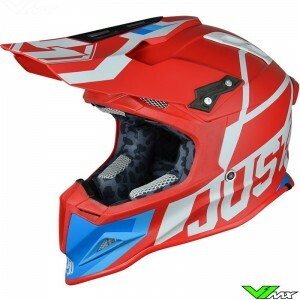 The J34 has good features, such as the various ventilation openings and emergency system that allows you to easily remove the helmet after a crash. 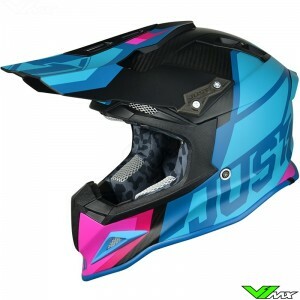 The double-d closure and fully removable lining complete this Just1 helmet. 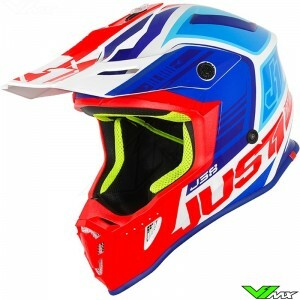 The Just1 motocross helmets are made and designed with main goal to bring the most safe and comfortable helmets on the market. 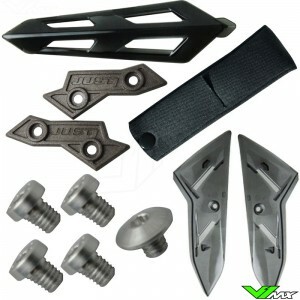 The excellent fit and advanced construction of materials is essential to provide good protection. 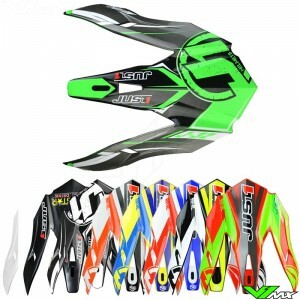 A complete overview with the technical characteristics can be found at the product description of each helmet. 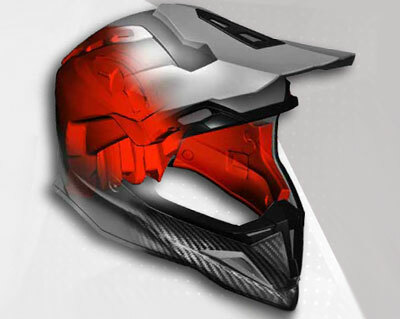 Here you can easily check whether the helmet meets your requirements. The features that Just1 excels in are covered below. 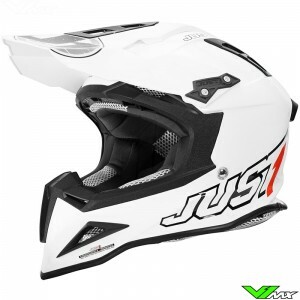 The damping layer of the Just1 helmets are made of EPS. This is a traditional material that has been used for a long time. Nevertheless, the Italian company has achieved excellent results in terms of protection. This has been achieved by performing computer calculations. Everything affects the strength and protective function, from position of ventilation holes to the shapes of the outer shell. 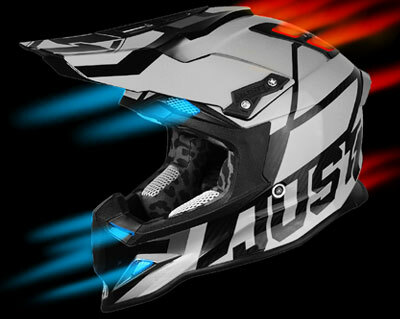 Just1 has optimized all the features to offer the rider maximum protection. Rider performance is one of the main focus points of the Just1 engineers. 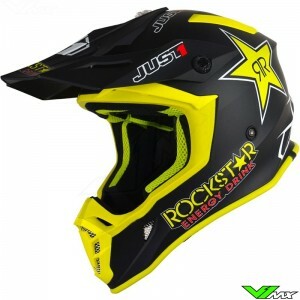 An advanced motocross helmet can’t go without a good ventilation system. This keeps the riders cool when attacking the most difficult off-road conditions. The most advanced ventilation system can be found on the top model, the J12. 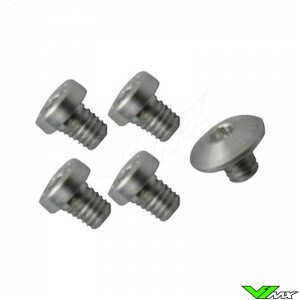 It is equipped with inlets at the mouthpiece, chinbar and eyebrows. 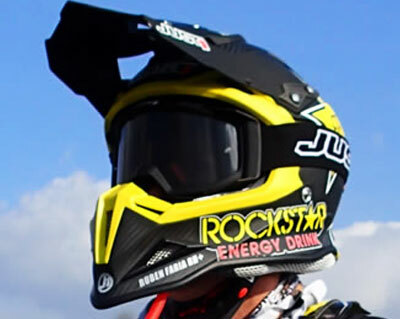 The air is passed through the helmet to keep the rider cool. 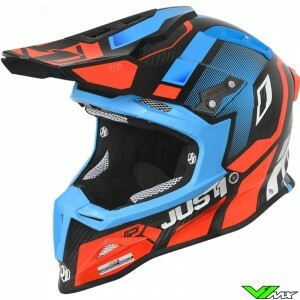 Warm and humid air is then discharged through the multiple outlet holes on the back and top of the Just1 motocross helmet. 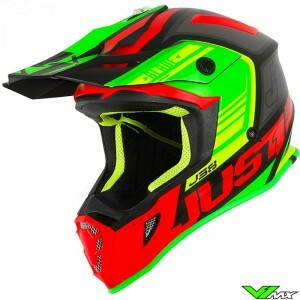 The Just1 motocross helmets have a modern design with an aggressive look. The most recognizable feature of the Just1 J12 is the large vertical mouthpiece and large adjustable peak, perfect for offroad conditions. The outer shell has been designed using a wind tunnel. The result is an aerodynamic helmet that, besides functionality, also has a beautiful look. 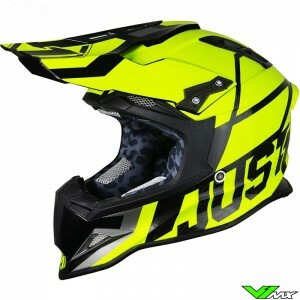 The shell is also optimized for material use, which limits the weight of the Just1 motocross helmet. There are many different designs and colors available. In addition, Just1 has a partnership with Rockstar Energy. 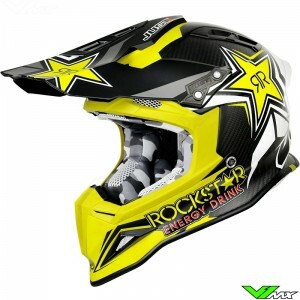 The Rockstar Energy motocross helmets can be ordered easily and fast in the webshop of V1mx. Below you will find the size chart for Just1 helmets. You can measure the circumference of your head using a measuring tape. Start measuring at about 2cm above your eyebrows. Wrap the tape measure around your head an hold it above your ears. Determine the largest size and use the chart below to find the required helmet size. Does the helmet not fit properly? You can easily return or exchange it with return form. At V1mx you have a 30 day period to return the items, to make sure you have enough time to decide. 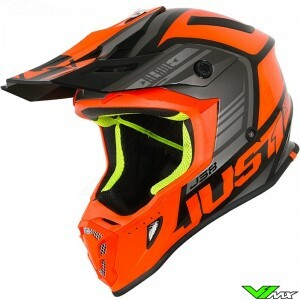 Do you want to buy a new Just1 helmet, but still have a question? Please contact V1mx by sending an e-mail or send us a message via the chat. We would be happy to help you.